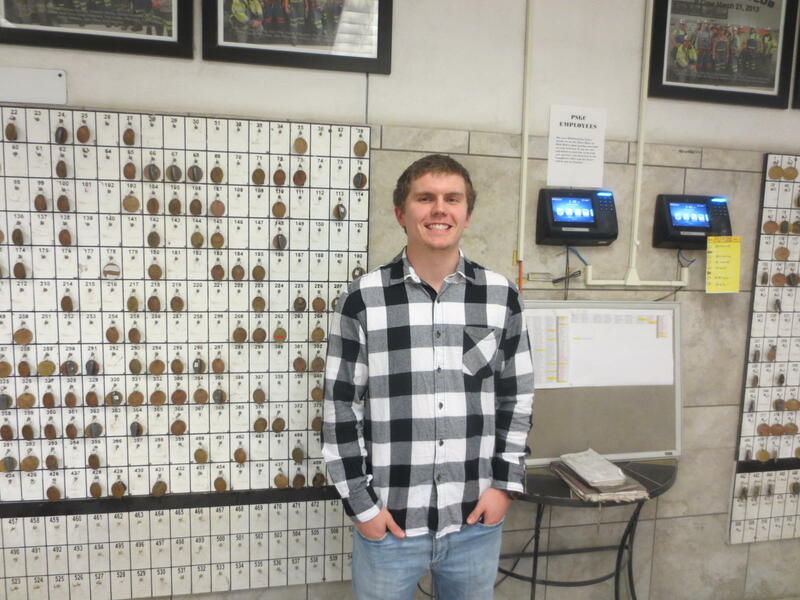 Mining intern Brycen Dhom has spent his summer at Prairie State working with mine technicians on electrical components and communication systems. Dhom has learned about and worked with transformers, vacuum breakers, variable frequency drives, and programmable logic controls. Throughout the mine, Dhom has learned about many microcontrollers. These small systems can be programmed to perform one of many different tasks. Dhom has grasped the purpose for many of these microcontrollers, which has improved his understanding of the mine. Dhom has learned how to read electrical schematics, and he has gained exposure to new electrical components. “I now consider safety more in areas that you normally wouldn’t think about, especially while working with electricity at home.” He has also improved his troubleshooting skills. In the future, Dhom plans to have a career in electrical repair and design.